it feels like people are celebrating spring these days. so i had to make up my own spring bouquet. i went out and trimmed our flowering cherry blossom tree and placed the branches in water. i’m hoping that they’ll actually blossom, to be honest with you i have never forced tree blossoms. 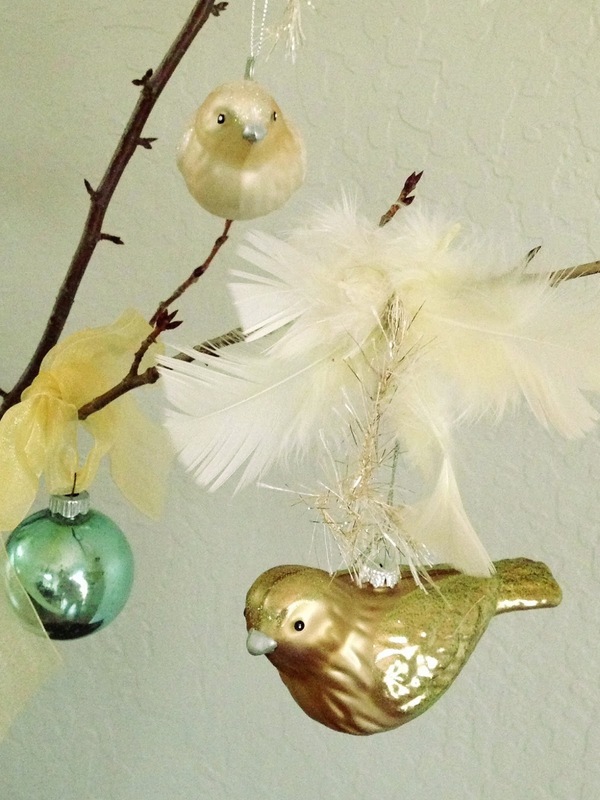 i bought a few bird ornaments at Michael Crafts as well as a package of feathers. 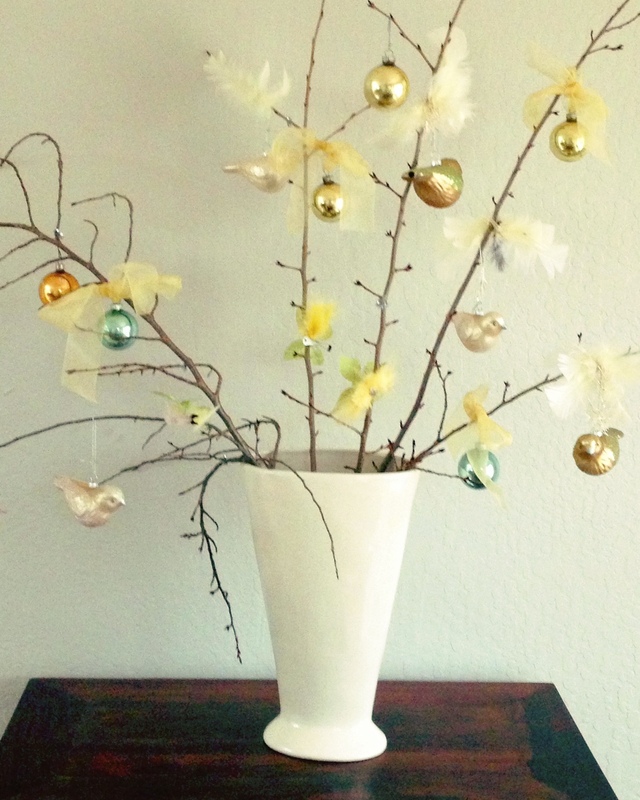 my swedish friend, elisabeth told me that they decorate branches with bright color feathers for easter. so i got inspired and added patches of feathers and ornaments. here you can see my touch of feathers… ok…i had to use my cream colors. 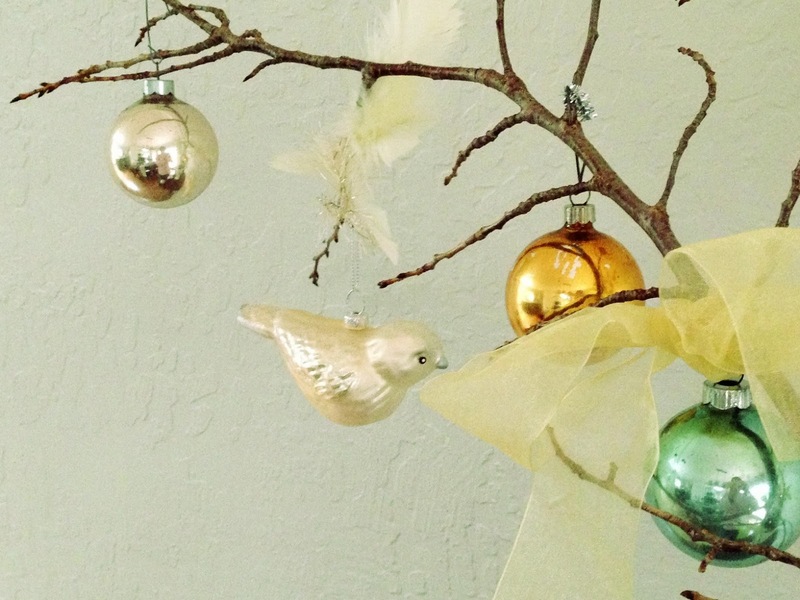 i also, decorated the branches with some old vintage christmas ornaments. i love their pastel antique colors, perfect for spring! 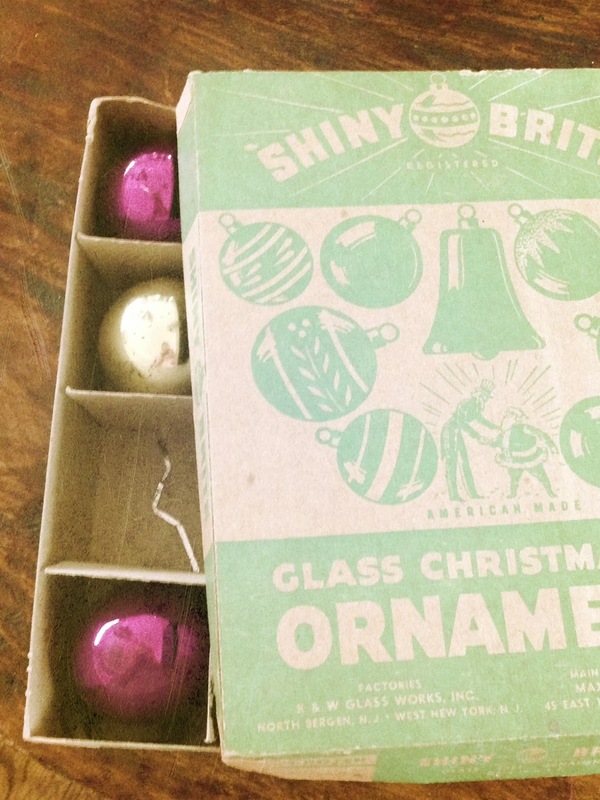 i bought these ornaments at a thrift store, i just love them. note the old tinsel in the third compartment! it brings back childhood memories. if you make one of these bouquets, have fun and add whatever spring decor you have around the house. here is a swedish version of pask ris. love it!